In Sweden we celebrate Christmas on the 24:th. A normal Swedish Christmas eve is basically a long long wait for Santa Claus. After the boring Christmas lunch (for kids that is, for adults the Christmas lunch is one of the highlights of the day) all Swedes gather around the television to watch Donald Duck and other clips from Disney movies for an hour. When the hour has passed an old Swedish guy sings “When you wish upon a star” and then someone bangs hard on the front door. And there he is. Finally. Santa Claus. With his huge bag of presents. 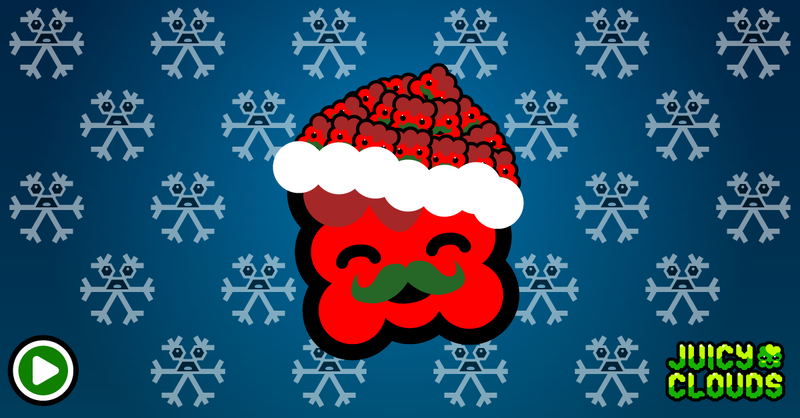 In this year’s Christmas space level you have to wait for Tom Tomato who is acting Santa Claus. And in Sweden Santa Claus is called “Tomten”, so Tomato was the closest match. And after all he IS red. A more accurate translation of “Tomten” would perhaps be something like “the gnome”, “the elf” or “the goblin”. In modern times he looks an awful lot like Santa Claus though.